Jump to the “I have an infant and a toddler … can you be brief?” summary here. Well yes… technically. All infant formula is regulated, but likely not nearly to the extent that you think it is. Because infant formula is a food, it falls under the regulations of the Federal Food and Drug and Cosmetics act (FFDCA). Additional requirements for infant formula are stated in section 412 of the FFDCA and in 21 CFR 106 and 107. (Fascinating bedtime reading! … said no one. ever.) These regulations demand that all infant formulas marketed in the United States must meet certain requirements. These requirements set minimum concentrations of 29 essential nutrients that must be in formula. For any company to get a new formula approved, they must meet these requirements, and then show that infants fed their formula grow normally. I’ll add here that “normal” growth is considered as anything above failure-to-thrive. Infants who gain too much weight are still considered “normal” in this scenario. 2) again, infants grow “normally”. There are special regulations for the safety of infant formula … as there should be! The FDA inspects all manufacturing plants that make formula, and new manufacturing plants are very carefully inspected and monitored. Manufacturing plants have to stand up to intense safety and monitoring controls and keep rigorous records for every batch made, and all testing results. This means that anything labeled “Infant Formula” (in the USA) is the safest food you can purchase in our country. This provides me comfort for our most precious population that is vulnerable to small levels of contamination in food. 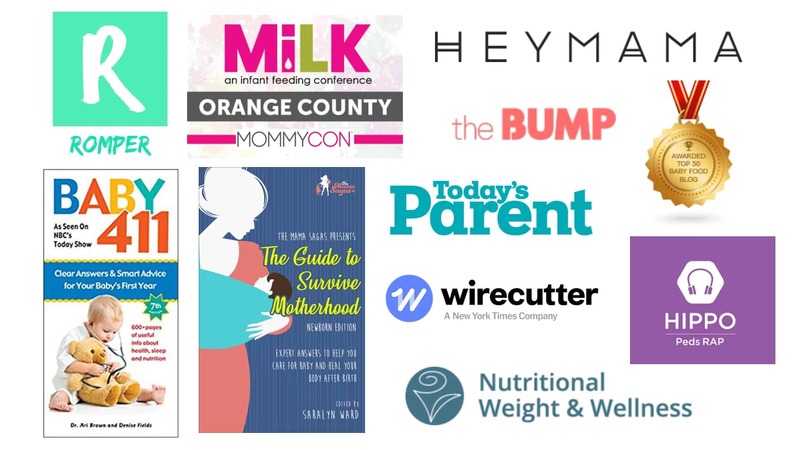 These regulations are really very minimal compared to what most people assume, and they leave much room for significant variation in ingredients between infant formula brands. While minimal, these requirements do guarantee that infants will gain weight, grow, and will not need supplemental nutrition. They represent great strides in research and a great improvement on the home-made condensed milk formula days. However, these requirements leave plenty of room for formulas to be really different. All infant formula is not the same! 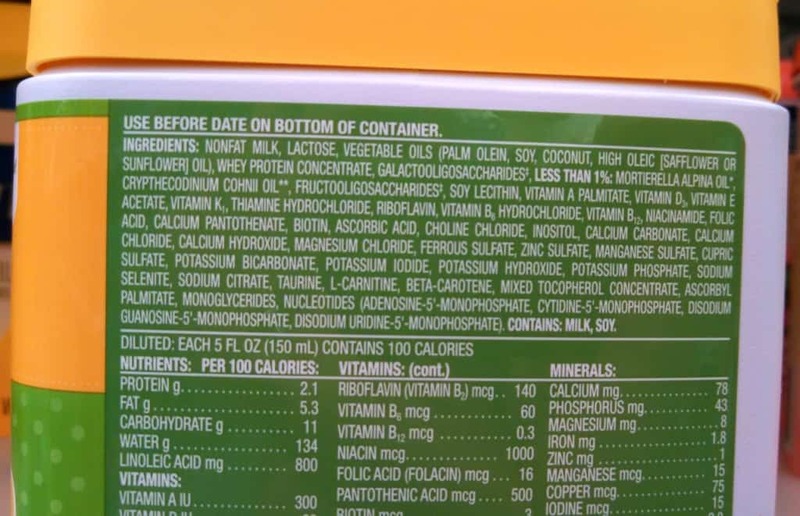 Because 29 of the nutrients in formula are regulated, the nutrition label (the box that lists calories, fat, and amounts of vitamins and minerals) is going to look almost the same between different formulas. You will only be able to find the differences in formula brands by looking at the list of ingredients. Where is the protein coming from? What additional fillers are added? Are non-required but beneficial nutrients added? I’ll explain how to answer each of these questions in the upcoming articles. When you are in the store with a potential formula can in-hand, you can’t answer any of these questions by looking just at the nutrition label chart. But your pediatrician should know all of this, right? Wrong. Pediatricians are incredible doctors (and always seem to be just the nicest people you know!). These brilliant and lovely souls are experts in child health, but receive little to no training in Nutrition. The average doctor receives only a few hours of nutrition education of any kind during the entire course of med school. Pediatricians and Neonatologists will receive extensive training on the nutritional needs of infants with certain diseases but minimal to zero training about the nutrient needs of the average healthy baby beyond “breast is best”. 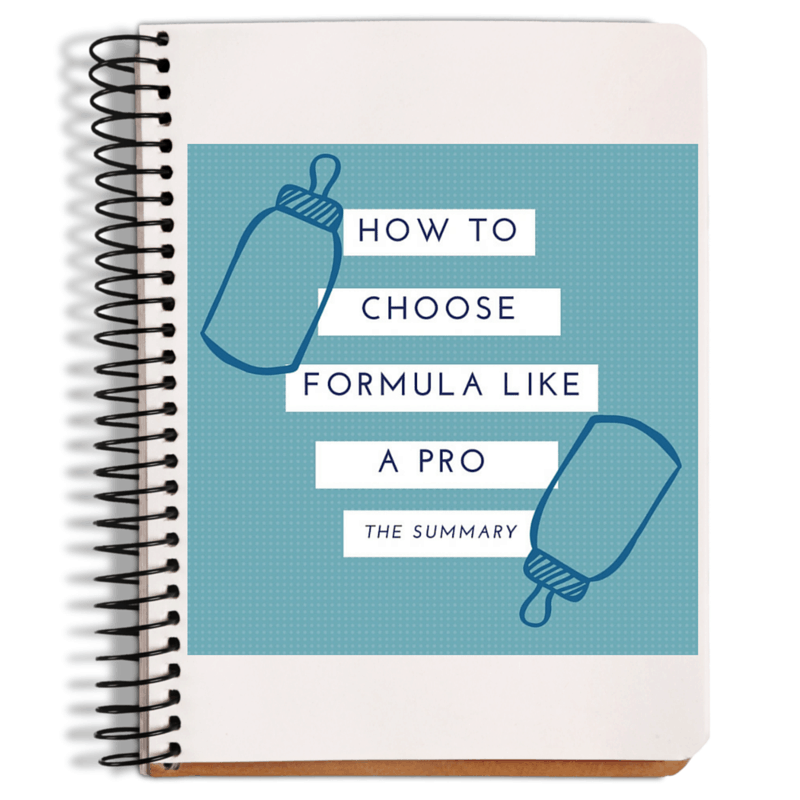 Historically, the formula industry was only allowed to market formulas to pediatricians and thus doctors received some education about formula ingredients this way. However, when the companies began marketing directly to the public (cue adorable babies laughing in Similac commercials), they stopped educating pediatricians. The good news is – the information about formula ingredients is now available to parents… and y’all are smart! The bad news is – this information is often un-interpretable to the average Mom or Dad. Or worse, there is misleading and false information out there! Most parents I work with have no idea that different formulas and brands can actually be really different from each other. When they call their pediatrician for a recommendation, they often get recommended whichever brand the doctor happens to have samples of … or whichever brand their doctor used with his/her own babies. Well I am determined to end that! I am here to be your translator so you can read that jibberish on the back of the formula can and decide intelligently for yourself which formulation is going to be the best for your special baby. 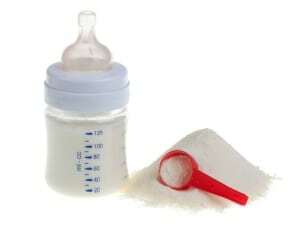 The amount of 29 essential nutrients are regulated in infant formula. The amount and source of all other nutrients and non-nutrient ingredients can vary quite a lot between brands. You may not be able to distinguish differences between brands by looking at the nutrition label chart alone, since this label mostly lists the amounts of the 29 required nutrients. To make an informed decision, You must read the formula label list of ingredients! Your pediatrician likely does not have this information. This is no fault of his/hers! There is a severe lack of nutrition education in medical school and practice.